Solid wood leash holder for your pet(s). 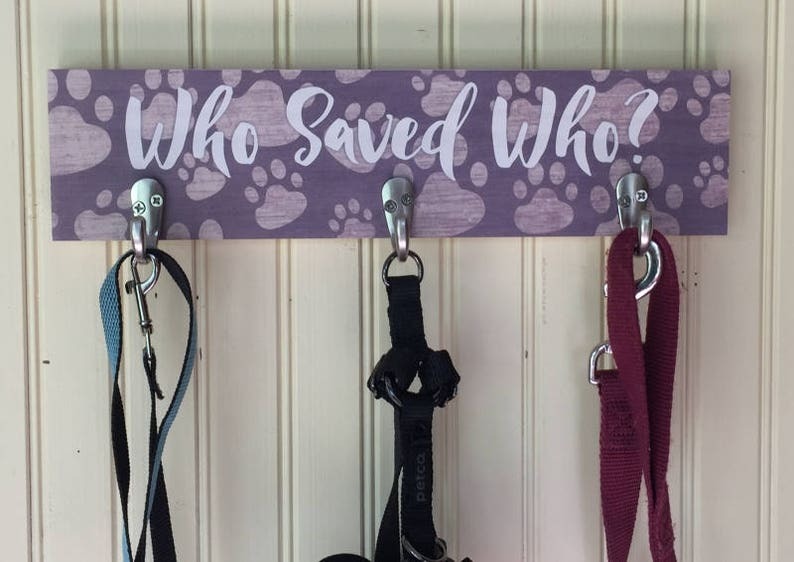 Cute "Who Saved Who?" design is perfect for your rescue pets. We all know they save us! Running Medal Display - Customize for FREE!